A few months ago (is February considered "a few? "), I learned of the 21 Day Sugar Detox (21DSD). I successfully completed it then, completely fell off the wagon, and did a mini 10 day detox this summer. I have not stayed sugar free since then, but I have made some healthy changes and most nights our dinner are 21DSD approved (except for those nights when I am extremely lazy and I just cook up the 90 second microwavable rice). The first go-round, I stuck to the meals provided in the 21DSD book and cookbook. Since then, I have realized that there are millions of other options and I don't have to go strictly by the book(s). Most are just simple recipes with meat being seasoned with spices and grilled or baked. I was feeling creative (but still lazy) when I decided to cook this up, my muse being an episode of The Brady Bunch. 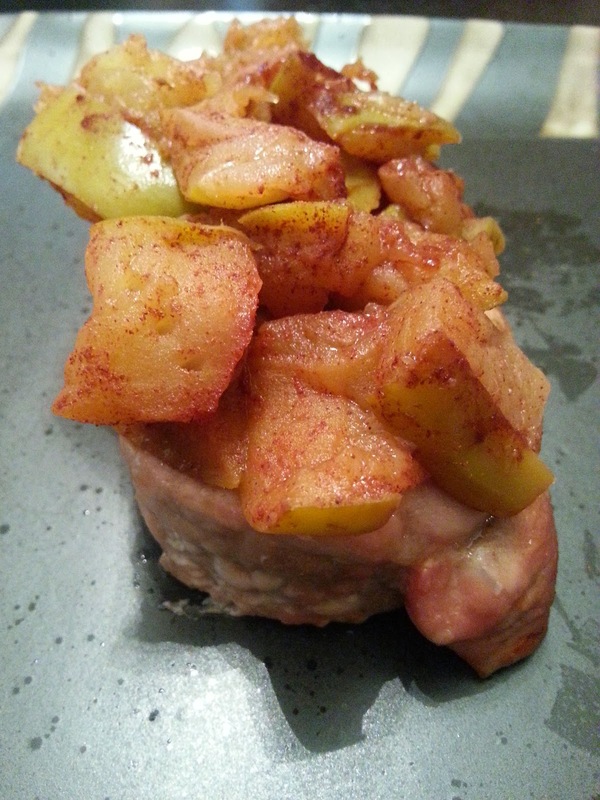 And, to be fair, this concept wasn't all that creative as I had mixed mustard and apples before with my Apple Mustard Pork Chops. But just let me have this one, kay? Thanks! Coat pork chops in mustard and let marinate in a plastic bag in the fridge for a at least 30 minutes. Place pork chops on a glass dish and bake in the oven for 30-40 minutes. 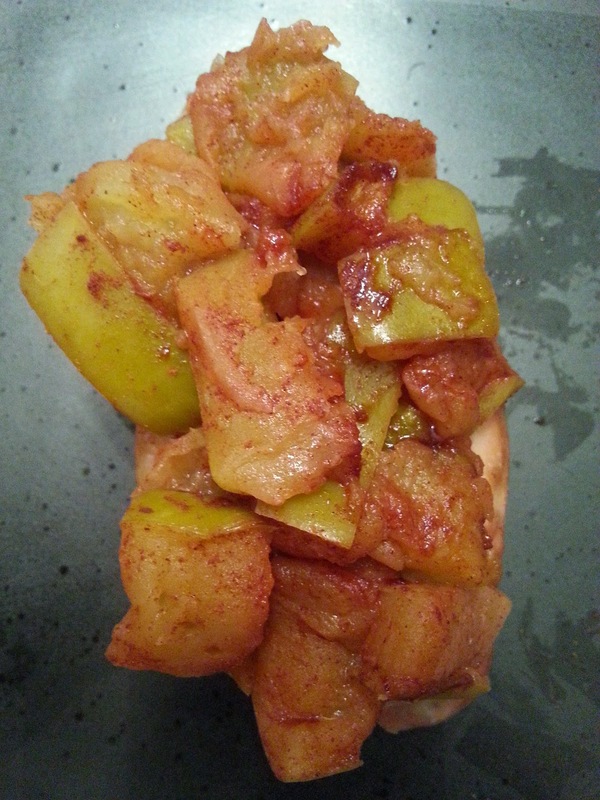 While pork is cooking, cut up apples (you can leave the peels in tact) into bite size pieces. Place in a pan, and cover with cinnamon. Add water. Cook on medium-low heat for 20-25 minutes, stirring occassionally. 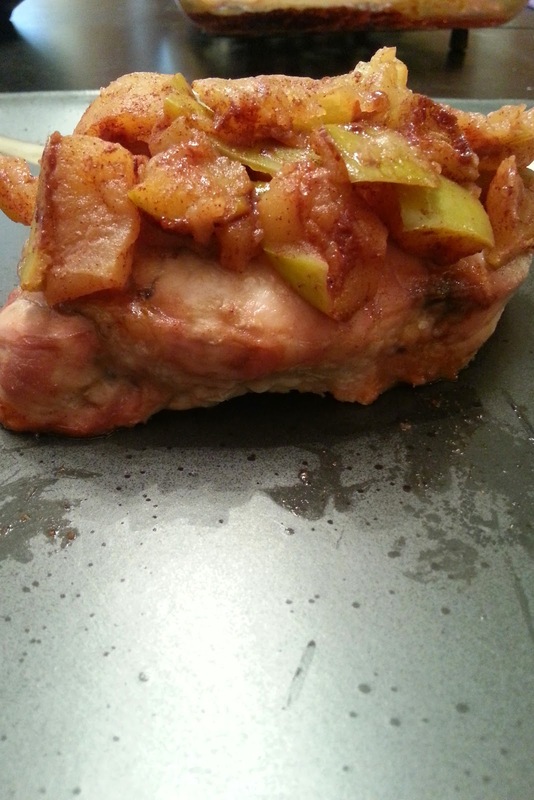 Top the pork chops with the apples and enjoy.